Nonko in summer work mode means she has to keep her cell phone with her, which she stores in the obvious place. 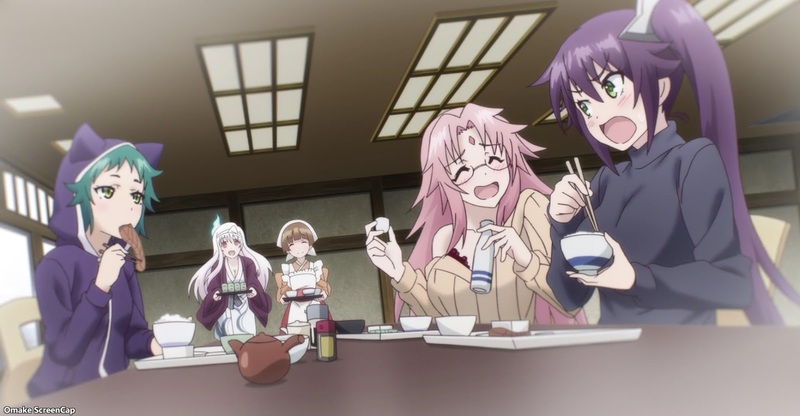 Nonko needs the kids to help out with her manga again, but she surprises them with a sudden trip to Okinawa as a reward. This just means more nearly naked drinking for Nonko. 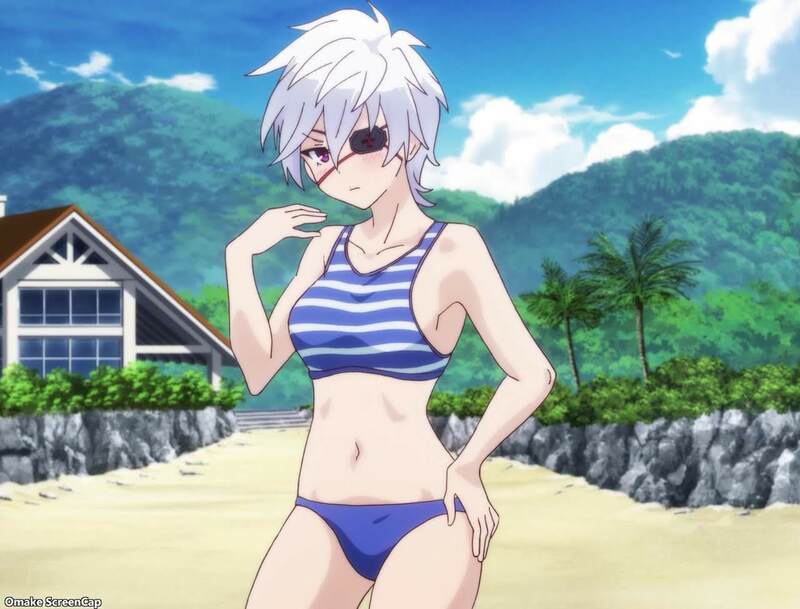 Oboro got into the spirit by wearing a Nonko-inspired swimsuit, but a sporty swimsuit was more her style. Nonko got the ACTION scene started by asking Kogarashi to put oil on her back, which led to Oboro asking for it too. 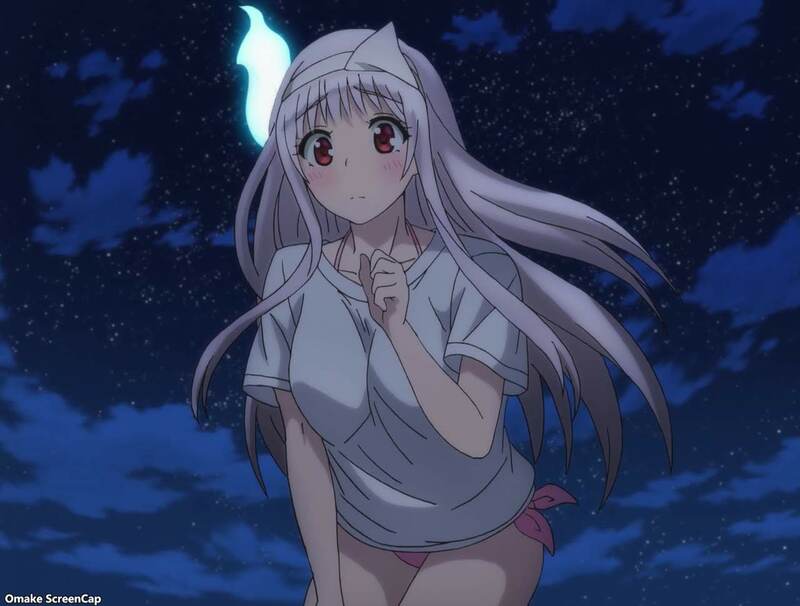 Yuuna was also curious, even though she doesn't need to worry about sunburns as a ghost. There was a subplot to tie into the overall premise of Kogarashi finding a way to solve Yuuna's lingering regret. A local ghost story of unlucky Ami waiting for her boyfriend reminded Kogarashi of his promise to make Yuuna happy. The eye catch reminds you to buy the blurays! Kogarashi asked Yuuna what her former life was like, since ghosts are supposed to be bound to earth by a lingering regret. 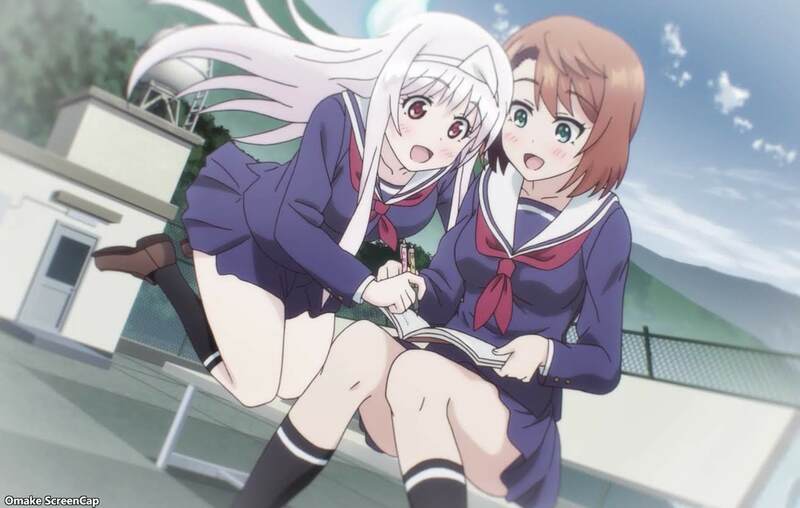 It turns out that Yuuna's first memories are waking up in the room she shares with Kogarashi and Chitose named her Yuuna Yunohana (flower of the bath), and that she has no regrets since every day is a happy one. 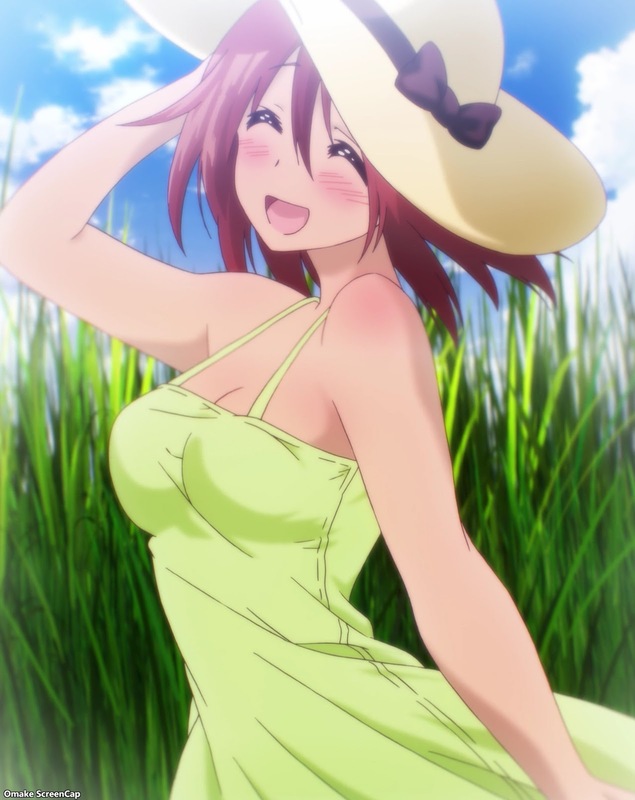 Kogarashi will just have to make sure Yuuna's "heaven" stays happy. Yuuna's normal wake up routine with Kogarashi led to the normal NSFW situation. Also, the suntan oil scene had Oboro being very forward as well as the slipperiness led to another "accident" between Kogarashi and Yuuna. Again, buy the blurays to avoid all the steam and celestial rays of censorship.